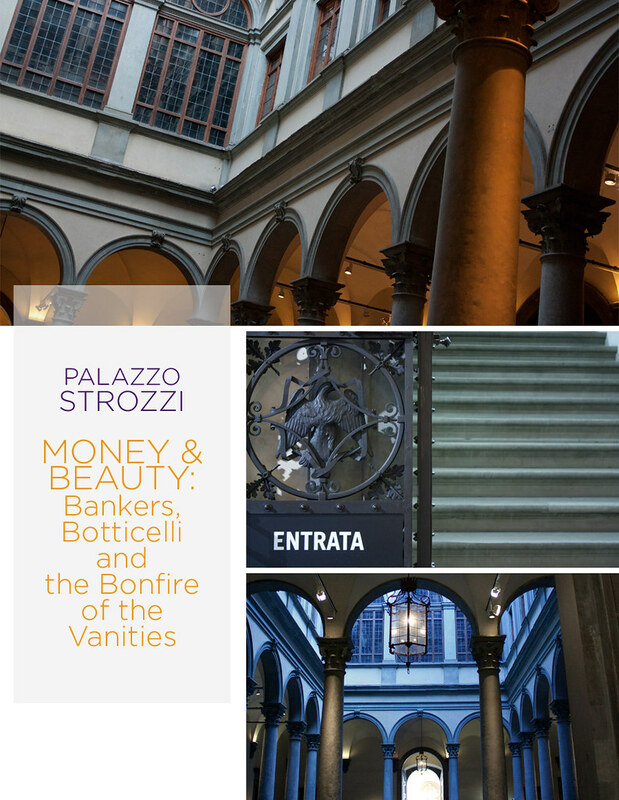 Yesterday, Rob and I went to Palazzo Strozzi for the Monkey and Beauty: Banks, Botticelli and the Bonfire of the Vanities exhibition. It's been open since September (and is around until January) and we've been dying to go. After nearly 10 days spent cooped up in the house with an awful stomach bug, I was more than happy to finally buy some tickets and check it out! It was one of my favorite exhibits that I've been to in a long time. I find that museums here in Italy (and particularly Palazzo Strozzi, which does this so well) really know how to make a fun, informative and digestable art exhibit. It took us about 1.5 hours to work our way through -- the art and artifacts were fantastic, but just as impressive were the text placards all around the exhibit. I don't "nerd out" with history quite like Rob, but even I was really fascinated by a lot of what I read. Florence history is full of intrigue and action, and it's great when an exhibit can capture it. The exhibit runs until January 22 and you can learn more about it on the Palazzo Strozzi website. Living in Florence: Is it Spring?